"You KNOW you're a character!" The thirty-five year old over the hill beauty queen looked down her botched rhinoplasty at her forty year old size 20 drama student. Her silicone C cups heaved because she had just hurled the worst insult she could imagine and fully expected the subject of her snobbery to slap her right in her spackled face. I thought about all the marvelous, talented character actors I had loved through the years. All the side kicks and scene stealers -- actors who were cute little urchins, pesky teens, the fat friend, the old curmudgeon. The beauty queen was pretty much washed up but age, weight, or even a crooked nose meant nothing to a CHARACTER because they had real TALENT! That meant I had talent! "THANK YOU!" I said out loud. She's probably still glaring. One of my all-time favorite character actors was born February 2, 1903 in Mound City, Missouri. Benjamin Franklin McGrath, who was of Irish and Native American ancestry, started working in rodeos at an early age. He soon became a jockey at midwest racetracks and then in Mexico. He was working in Mexico when the racetrack went broke so he hopped a northbound train. The story goes that a movie producer saw him jump from the train and encouraged him to enter film stunt work. He began his on camera stunt career at age 16 as a stunt double for stars including Stan Laurel, Buster Keaton, Warner Baxter, and J. Carroll Naish. His small 5'8" frame allowed him to double for female stars like Gene Tierney. In 1932 Frank got his first small speaking role as well as doing stuntwork in the movie THE RAINBOW TRAIL based on the Zane Grey novel of the same name. The part was uncredited but his acting career was launched. After that came WESTERN UNION, SUNDOWN JIM, and HELDORADO. He worked on Gene Kelly's 1948 version of THE THREE MUSKETEERS. Also in 1948, he and his longtime friend Terry Wilson became part of John Wayne's stunt crew. Frank played the bugler in two gigantic John Ford films starring John Wayne. In FORT APACHE, he appeared in fifty-one scenes with stars John Wayne and Henry Fonda. He appeared on camera one hundred and twelve times in SHE WORE A YELLOW RIBBON. Only John Wayne himself had more scenes in that movie. At age fifty-three and recently recovering from a broken back, he performed performed three separate fall and drag scenes for the 1956 John Wayne movie THE SEARCHERS. Frank moved to the small screen to play ranch foreman John Pike in the 'Quicksand" episode of the first hour long TV western CHEYENNE starring Clint Walker. He had an uncredited role as a stagecoach driver in the Henry Fonda picture THE TIN STAR. In 1957 after forty years in the business, Frank was getting ready to retire. His friend Ward Bond, with whom had worked in FORT APACHE among other movies, convinced him and Terry Wilson to join the cast of a new TV show that was being put together called WAGON TRAIN. He played the irascible cook Charlie Wooster and Wilson was cast as Bill Hawks. These roles brought them both the fame they had never achieved before. They became popular guest stars at rodeos and fairs across the United State and Canada. Ward Bond passed away in November of 1960. The show continued with new wagon master, Chris Hale, played by John McIntire. 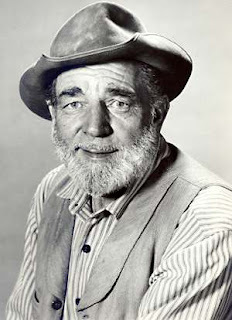 Frank appeared in all 272 episodes during WAGON TRAIN's eight year run. After the show ended, he made nine appearances as Uncle Lucius in ABC's comedy spinoff of the movie TAMMY. Debbie Watson reprised the Debbie Reynolds role of TAMMY and Denver Pyle played her grandfather. That lasted for two seasons after which he made guest appearances on TV westerns such as a stagecoach driver on THE VIRGINIAN and a would be outlaw on THE BIG VALLEY. He returned to movies to play Ned Martin in GUNFIGHT IN ABILENE and Ballard Weeks in Glenn Ford's THE LAST CHALLENGE. 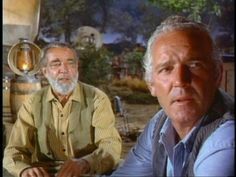 He teamed up with John Wayne and Terry Wilson again when he played the bartender in THE WAR WAGON. All three movies were released in 1967. 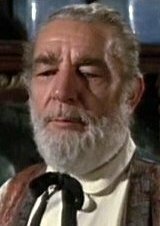 His very last movie role was Mr. Remington in THE SHAKIEST GUN IN THE WEST starring Don Knotts and again featuring his friend Terry Wilson. Frank McGrath had a heart attack on May 13, 1967 and sadly passed away. He was survived by his wife the former Libby Quay Buschlen, a native of Canada, and his stepson Quay. He is interred at Forest Lawn Cemetery in Glendale, California. Friends say that in real life he was pretty much like the ornery little Charlie Wooster character he played on TV. He was known to consume large quantities of Seagrams gin and bitters. He loved to start fights then duck out to leave his friends to finish them. In spite of that, Frank McGrath was one of the most respected stuntmen in Hollywood. He worked hard, he played hard, and was known for getting the job done.